People infected with HIV take many different types of pills every day to decrease the amount of virus in their body, live a longer and healthier life, and to help prevent them from infecting others. That could all be in the past as new clinical trials testing the safety and effectiveness of a new type of treatment — injections given every four or eight weeks — look to be equally effective at keeping the virus at bay. The last step in human testing is underway and, if testing continues to go well, the new treatment option may be available by the end of 2019. People pass Human Immunodeficiency Virus (HIV) to others through bodily fluids or sexual contact. In 2014, about 37,600 people were diagnosed with HIV in the US. They join an estimated 1.1 million people in the US living the with the virus. They are living with it because right now, there is no cure. People with HIV manage the infection by taking many medications every day for the rest of their life. If for some reason they stop taking their medications their viral load will increase, potentially progressing to AIDS and making it more likely they'll infect others. "Long-acting injectable ART [HIV medications] might provide some patients with a convenient approach to manage HIV infection that avoids daily oral dosing and the need to keep, store, and transport medications as they undertake their activities of daily living," wrote study authors. 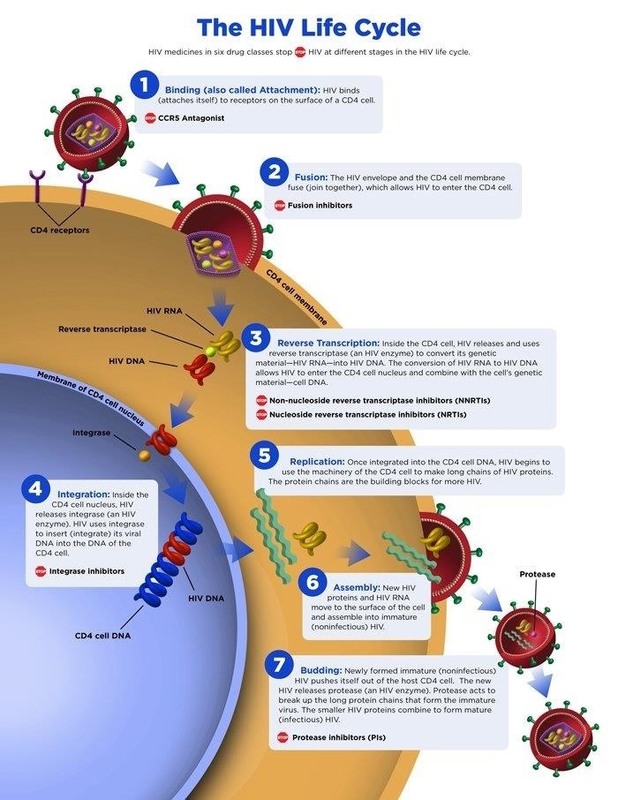 The report, by study lead author David Margolis, Director of HIV Drug Development at ViiV Healthcare in Research Triangle Park, NC, and his colleagues, was published online July 24 in the journal The Lancet. HIV is a type of virus called a retrovirus. Instead of DNA, which many organisms use as genetic material, the virus uses RNA to encode the proteins it needs to survive. That means, to be able to multiply, the infected cell must convert its RNA into DNA. After the cell makes the DNA, the viral DNA integrates into the DNA of the host cell, where DNA transcription enzymes can copy it. The enzymes turn the DNA into RNA, then into proteins, putting the two together into new virus particles. The new virus particles leave the cell to infect other cells. The drugs used to treat HIV infections are called antiretrovirals. They work on different parts of the virus replication process: Some inhibit entry of the virus into host cells, while others inhibit enzymes in the viral replication process: protease, integrase, and reverse transcriptase. While some pills exist that contain combinations of several drugs, most people infected with HIV take several different pills every day. The US Department of Health and Human Services has issued guidelines for treating different classes of patients, based on factors such as whether they have been treated before, their age, and if they have other viral infections, like hepatitis. Most newly-diagnosed patients start with two nucleoside reverse transcriptase inhibitors in combination with a third drug that is either an integrase, non-nucleoside reverse transcriptase inhibitor, or a protease inhibitor with a drug that boosts the effectiveness of the other drugs, such as cobicistat or ritonavir. 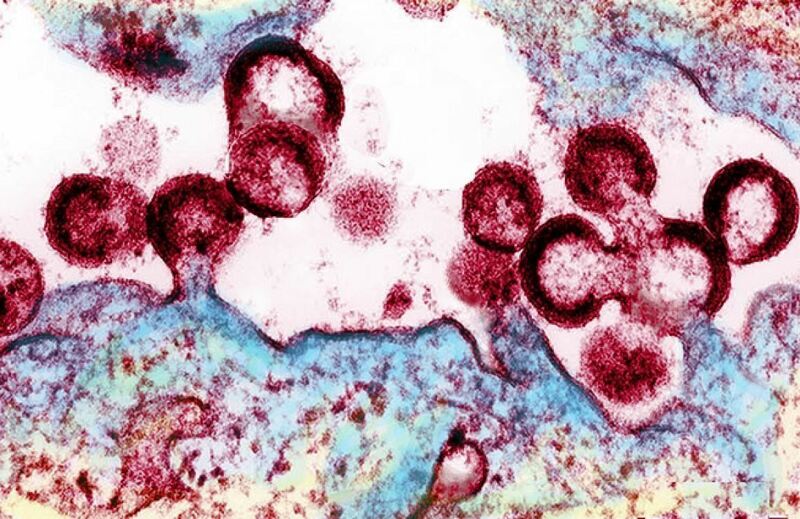 Antiretroviral drugs can lower the amount of virus in an infected person's body, even to the point of being undetectable, but scientists know it's there. The virus can live in a quiet state in certain cells and can re-activate and multiply in the body if the patient stops taking their medications. And with such complicated and demanding treatment regimens, taking the medications as required can be difficult and re-activation is a real threat. The researchers just released the results of the second phase of a clinical trial of the injection in people infected with HIV. In this study, the researchers gave 309 newly-diagnosed patients (who had never been treated for their infection) daily oral doses of the antiretroviral drugs cabotegravir and abacavir-lamivudine for 20 weeks. This step was done to lower the amount of virus in their body and to look for side effects of the drugs. In the next step, patients were randomly assigned to receive injections of cabotegravir plus rilpivirine every four or eight weeks or to continue taking the oral drugs every day. The patients were started on oral medications because it would not be ethical to try them on an experimental treatment when the pills are known to work. The researchers were testing to see if the low numbers of viral particles in patients treated by injection rose once they stopped the oral medications. If the virus numbers stayed low, then the researchers would know the injections worked as well as the pills. After 32 weeks, the amount of HIV remained low in 91% of people who took oral drugs, in 94% of those receiving monthly injections and in 95% of patients who received injections every eight weeks. After eight months, viral amounts were still low in 84% of patients taking oral drugs, in 87% of those who got monthly injections and in 94% of those receiving injections every other month. Some of the study participants experienced side effects from the treatments, although most were mild or moderate and lasted about three days after the injection. The most common side effects were: pain at the site of the injection, symptoms of a cold, diarrhea, and headache. Those last three side effects were also reported by similar numbers of people in all three treatment groups. The next phase of clinical trials — phase 3 — has already begun. This phase will test the effects of monthly injections in a larger number of patients to confirm the findings in phase 1 and 2. If the results continue to bear out and patient's viral amounts are decreased as well with monthly or every eight-week injections as with oral treatment with combinations of drugs, the investigators will apply for approval from the U.S. Food and Drug Administration. If it all goes smoothly, Margolis hopes the new injection option will be available in 2019. "Which patient would prefer an injection to an oral medication remains an open question. The more options we have, the more people we can treat better, and that is the ultimate goal of HIV treatment. Different strokes for different folks," Rowena Johnston, vice president and director of research at The Foundation for AIDS Research, said in a press release from NIH. Until there is an HIV vaccine or cure for the disease, different treatment options, like the new monthly injection, may ensure more people get treatment that will help them and others stay healthy. News: The process of replicating HIV through cells. News: please sign up for our Fuse It Blurb - our monthly Newsletter! News: Where are the World Cup condoms?